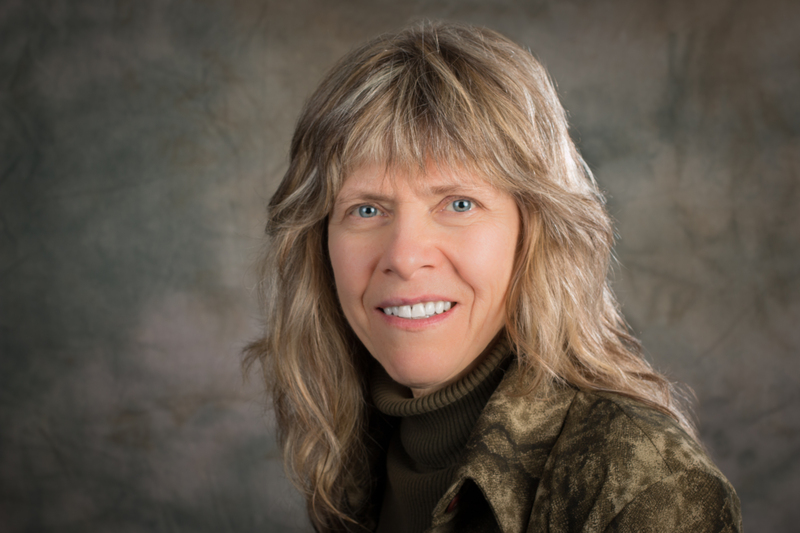 Lynne Gouliquer is an Associate Professor in Sociology at Laurentian University. Her research interests include the experiences of marginalised groups and the diverse social institutions that intersect with their lives [e.g., women in male dominated/male defined professions/occupations, LGBTQ2, Métis and the exceptionally old in chronolgical years (90+)]. PhD in Sociology, McGill University (2011). * Gouliquer, L., & Poulin, C. (2016, May-Aug). Laurentian University Work-study Program. Research Assistant (Value: $4541). * Poulin, C., & Gouliquer, L. (2016, May-Aug). Four Student Employment and Experience Development Program positions, N.B. Department of Post-Secondary Education, Training and Labour (Psycho-Social Ethnography of the Commonplace – P-SEC Lab) (Value: $15953.72). Poulin, C., & Gouliquer, L. (2016, Jan-Apr). UNB Work-study Program Winter 2016. (Project title: The experience of aging individuals in rural NB and rural Taiwan accessing health care services). (Value: $704.40). Poulin, C., & Gouliquer, L. (2015-16, Sept-Apr). UNB Work-study Program Fall-Winter 2015. (Project title: Psycho-social impacts of institutions on the daily lives of marginalised and vulnerable groups). (Value: $1,936). Gouliquer, L., & Poulin, C. (2015-16, Sept-Apr). Laurentian University Work-study Program. Research Assistant (Value: $1300). Poulin, C., & Gouliquer, L. (May 2015 – August 2015). Canada Summer Jobs Programme-2015. HRSDC. (Project title: The psycho-social health impacts of institutions on the daily lives of marginalised and vulnerable groups) (Value: HRSDC=$3200). * Poulin, C., & Gouliquer, L. (2015-16) Harrison McCain Foundation Visiting Professorship Award (10,658). Gouliquer, L. Poulin, C., & Miigam’agn. (2014, May-Aug). (STU) Canada Summer Jobs Programme-2014. HRSDC. (Project title: Wabanaki older adults: Developing a collaborative project.) (Value: STU=$1714 & HRSDC=$1714). * Gouliquer, L. & Poulin, C. (2014-16). Social Sciences and Humanities Research Counsel (SSHRC) Grant # 430-2014-00545. (Project title: Life stories of elder elders in New Brunswick: Tales of resilience, identity, and longevity.) (Value: $67,432). Gouliquer, L. Poulin, C., & Miigam’agn. (2014, May-Aug). (STU) Canada Summer Jobs Programme-2014. HRSDC. (Project title: Exceptionally old Wabanaki people: Who are they and what do they know) (Value: STU=$1600 & HRSDC=$1600). Gouliquer, L. & Poulin, C. (2013). (STU) Canada Summer Jobs Programme-2013. HRSDC. (Project title: Studying the very old) (Value: STU=$2066 & HRSDC=$1812). Poulin, C. & Gouliquer, L. (2013). UNB Work-study Program Winter 2013 (Project Title: Existing in the margins: a communication project) (Value: 704). * Gouliquer, L. (2012) STU General Research Grant (PTGRG 3 – 2012) (Project: Life history stories of senior-seniors' Resiliency) (Value: $2500). * Poulin, C., & Gouliquer, L. (2012). Social Sciences and Humanities Research Council of Canada (SSHRC). Insight Grant Competition 2011 (# 435-2012-0297). (Project title: Putting out "fires" and taking their place: Women in the Canadian Fire Services) (Value: $159,147.00). * Gouliquer, L., (2012). Canada Summer Jobs Program-2012 & STU JOBS grant. (Project title: Navigating Issues of Care: the Elderly in Rural New Brunswick) (Value: combined total - $3770). Poulin, C., & Gouliquer, L. (2012). Canada Summer Jobs Program Project-2012. (Project title: Institutional influences and the experiences of women fire fighters in Atlantic Canada) (Value: $1812.50). Poulin, C. & Gouliquer, L. (2011). UNB Work-Study Program Fall-Winter 2011-12. (Project Title: The daily lives of marginalized and vulnerable groups) (Value: $1750.80). Poulin, C. & Gouliquer, L. (2011). Canada Summer Jobs Programme-2011 (Project title: Institutional influences and the experiences of women fire fighters in Atlantic Canada) (Value: $1721.88). Poulin, C. & Gouliquer, L. (2011). UNB Work-study Program Winter 2011. (Project title: Women, elders, and the experience of marginalisation) (Value: $750). * Gouliquer, L., & Poulin, C. (2010) New Brunswick Health Research Foundation (NBHRF) Seed Operating Grant. (Title: The organisation of health care and services: Its effects on the health of rural New Brunswick elders) ($25,000). Poulin, C., & Gouliquer, L. (2008). UNB Work-study Program Winter-2008. (Project title: Research on Marginalised Groups: The development of a Web site) (Value: $750). Poulin, C., & Gouliquer, L. (2007). UNB Work-study Program Fall/Winter 2007-8. (Project title: Women in the Canadian military) (Value: $1700). Poulin, C., & Gouliquer, L., & MacAuly, S. (2007). Canada Summer Jobs Program Project-2007. (Project title: The psycho-social health impacts of institutions–university residences & military–on marginalised groups–women & GLBT people, respectively) (Value: $1225.00). Poulin, C., & Gouliquer, L. & MacAuly, S. (2007). UNB Work-study Program Winter-2007. (Project title: Impacts of institutions on everyday living: 1) Homosexuals in the Canadian military 2) Female students living in residences) (Value: $750). Poulin, C., & Gouliquer, L. (2007). Canada Summer Jobs Program-2006. (Project title: The psycho-social health impacts of institutions–military & hospitals–on marginalised groups–GLBTs & birthing women) (Value: $1225.00). * Poulin, C., & Gouliquer, L. (2006). Lesbian Health Fund. (Project title: "Discharged from the Canadian Military for Homosexuality: The Health Consequences for Lesbian Service Members and Their Partners) (Value: $10,000 USD). Poulin, C., Gouliquer, L. & Burdett, F. (2006). Canada Summer Jobs Program. (Project title: Women’s birthing experience / Military experience: Homosexual serving members) (Value: $1225). Poulin, C., & Gouliquer, L., Burdett, F. (2005). UNB Work-study Program Fall/Winter 2005-2006. (Project title: The experiences of marginalised groups: The impact of particular state institutions) (Value: $1700). Poulin, C., & Gouliquer, L. (2004). UNB Work-study Program Fall/Winter 2004-2005. (Project title: Marginalized groups: The social and psychological impact of institutions) (Value: $1700). Poulin, C., & Gouliquer L. (2004). UNB Work-study Program Winter 2004. (Project title: Particular state institutions and their impact on marginalised groups) (Value: $1360). Poulin, C., & Gouliquer, L. (2003). UNB Work-study Program Fall/Winter 2003-2004. (Project title: Longitudinal Research Project Concerning Homosexuality and the Canadian Military) (Value: $1200). Poulin, C., & Gouliquer, L. (2002). UNB Work-study Program Fall/Winter 2002-3. (Project title: The Psychosocial reality of homosexual Canadian military members: A longitudinal study) (Value: $1200). Poulin, C., & Gouliquer L. (2001). UNB Work-study Program Fall/Winter 2001-2002. (Project title: The Canadian military culture and its policies concerning homosexuality: A socio-psychological study) (Value: $1200). * Gouliquer, L. (2001). McGill Faculty of Graduate Studies & Research Grant (PhD Project title: Soldiering in the Canadian military: Structural and cultural explanations of a gendered hierarchy) (Value: $3500). Gouliquer, L. (2001). Research Support Grant, Center for the Study of Sexual Minorities in the Military, University of California, Santa Barbara (Value: $500). 2014-15. St Thomas University 4a Award ($1500). 2012-14. Banting Postdoctoral Fellowship (2 years @ $70.000/yr). 2001. McGill Major Fellowship ($5,000). 2000. O’Brien Foundation Fellowship, St. John, NB. ($3000). 2000. Margaret Gillet Graduate Research Award, Centre for Research and Teaching on Women, McGill University ($1000). 1999-2001. SSHRC (Social Sciences and Humanities Research Council) Doctoral Fellowship ($16,620/yr). 1999. O’Brien Foundation Fellowship, St. John, NB. ($6000). 1998-1999. FCAR (Fonds pour la Formation de Chercheurs et l’Aide à la Recherche) Bourse, ($13000), Québec. 1995. University of McGill (for Jan 96) - Teaching/Tuition Assistantship ($4263.00). R. Gouliquer, L., Poulin, C. & Lesmana, M. (2015) Mobility Boundaries Between Home, Community, and Beyond: Experiences of Exceptionally Old Adults Living in Eastern Canada. Qualitative Sociology Review, XI(3), 124-150. R. Gouliquer, L. (2012). Examining the life world of Canadian female soldiers: The effects of blatant and subtle discrimination. Canadian Psychology/Psychologie Canadienne, 53(2a), 23. R. Poulin, C., & Gouliquer, L. (2012). Clandestine existences and secret research: Eliminating official discrimination in the Canadian military and going public in academia. Journal of Lesbian Studies, 16(1), 54-64. R. Poulin, C., & Gouliquer, L. (2012). The Psycho-Social Ethnography of the Commonplace (P-Sec): A semi-structured qualitative approach to feminist research. Canadian Psychology/Psychologie Canadienne, 53(2a), 272. R. Poulin, C., Gouliquer, L., & Moore, J. A. (2009). Discharged for Homosexuality from the Canadian military: Health Implications for Lesbians. Feminism & Psychology, 19(4), 497-516. R. McCutcheon, J., Gouliquer, L., & Poulin, C. (2009). Sports and Soldiering: Examining servicewomen’s experiences with military sports. Canadian Psychology/Psychologie Canadienne, 50(2a), 41. R. Moore, J. A., Poulin, C., & Gouliquer, L. (2009). Partners of Canadian lesbian soldiers: Examining the military family social support system. Canadian Psychology/Psychologie Canadienne, 50(2a), 99. R. Gouliquer, L., & Poulin, C., & McCutcheon, J. (2008). Dissecting the menstrual cycle: A longitudinal examination of beliefs regarding menstruation and PMS. Canadian Psychology/Psychologie Canadienne, 49(2a), 41. R. Moore, J. A., Poulin, C., & Gouliquer, L. (2008). Banned from serving: The affect of anti-homosexual laws on Canadian military women. Canadian Psychology / Psychologie Canadienne, 49(2a), 270 - 271. R. St. Pierre, M., Poulin, C., & Gouliquer, L. (2005). Homosexual identity development in the context of the Canadian Forces: Organisational influences, schematic responses, and coping strategies. Canadian Psychology/ Psychologie canadienne, 46(2a), 200. R. Gouliquer, L., & Poulin, C. (2005). For Better and for Worse: Psychological Demands and Structural Impacts on Gay Servicewomen and their Long-term Partners. In D. Pawluch, W. Shaffier & C. Miall (Eds.) Doing Ethnography: Studying Everyday Life (pp. 323-335). Toronto: Canadian Scholars' Press. Authorship order was determined randomly. Gouliquer, L. (2004). Ask and tell [Book review of Officially gay: The political construction of sexuality and the US military, and Don’t ask, don’t tell: Debating the gay ban in the military]. The Women’s Review of Books, XXI (8), 22-3. R. Poulin, C., & Gouliquer, L. (2004). Symposium: Translating Theory into Methodology: The Intersection of Sociologies and Psychologies. Canadian Psychology/ Psychologie canadienne, 45(2a), 135. R. Roxborough, H., Poulin, C., & Gouliquer, L. (2004). Discriminatory Practices : Lesbian Military Members and their Partners’ Health. Canadian Psychology/Psychologie canadienne, 45(2a), 136. R. Poulin, C., Gouliquer, L., Brazier, B., Hughes, J., Brazier, B., Arseneault, R., MacAulay S., & Thériault, L. (2004). Keeping it Confidential: A struggle for Transition Houses. In M. L. Stirling, N. Nason-Clark, A. Cameron, B. Miedema (Eds.) Understanding Abuse: Partnering for Change (pp 87-110). University of Toronto Press: Toronto. R. MacAulay, S., Poulin, C., Gouliquer, L., Brazier, B., Hughes, J., Brazier, B. C. S., Arseneault, R., & Theriault, L. (2004). Transition house worker’s Promises of Confidentiality: A political and practical struggle. Canadian Psychology/Psychologie canadienne, 45(2a), 136. R. Poulin, C. & Gouliquer, L. (2003). Part-time disabled lesbian passing on roller blades or PMS, Prozac, and essentializing woman’s ailments. Women & Therapy, 26(1/2), 95-108. Simultaneously published as a chapter of an edited book by Banks, M. E., & Kaschak, E. Women with Visible and Invisible Disabilities: Multiple Intersections, Multiple Issues, Multiple Therapies. Binghamton, NY: The Haworth Press). Authorship order was determined randomly. R. Gouliquer, L. (2001). Introduction: Women and the Canadian Military Special Collection. Atlantis: A Women’s Studies Journal, 26, 1. Gouliquer, L. (2001). What Gay Servicewomen can tell us about the gender order. Feminism(s) Challenge the Traditional Disciplines (MCRTW Mongraph Series No. 1). McGill University, Montréal, Québec: McGill Centre for Research on Teaching and Women. R. Gouliquer, L. (2000). Negotiating Sexuality: Lesbians in the Canadian Military. In B. Miedema, J. Stoppard, & V. Anderson (Eds. ), Women's Bodies/Women's Lives: The Social and the Material (pp 254-276). Toronto: Sumach Press. R. Gouliquer, L. (2000). Pandora's Box: The Paradox of Flexibility in Today's Workplace. Current Sociology, 48(1), 29-42. Poulin, M.B.C., Ross, L., Gouliquer, M.L., Fox, B., Thériault, L., Arseneault, R., Wuest, J., Merritt-Gray, M., Root, A., & Flowers, L., (1995). An evaluation and summary of the accumulated Monthly Reporting Form: Usage of New Brunswick Transition Houses. Fredericton, NB: Muriel McQueen Fergusson Centre for Family Violence Research.